if you cancel 3 weeks before the reservation day the hostel will charge the 10% of the total of the reservation. if you cancel 2 weeks before the reservation day the hostel will charge the 25% of the total of the reservation. if you cancel 1 week before the reservation day the hostel will charge the 50% of the total of the reservation. The hostal will need a deposit of 20 pesos per key also the hostal will required a deposit of 10% of the total price in order to cover any possible damage, if nothig is damage, the deposit will be returned, at the end of the reservation. 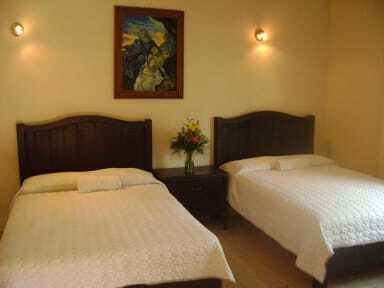 Hostel Inn is a small beautiful place, located four blocks from the main square and one block from the artisan market. 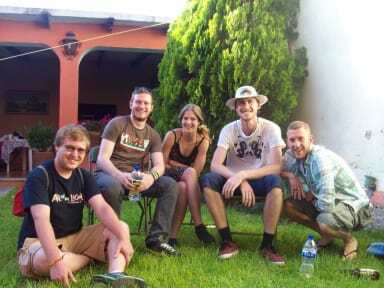 Stay with us and enjoy our friendly atmosphere, meet people, have fun, walk around the many churches, night clubs, parks and relax in the hot springs; 15 min. by bus from the hostel door.